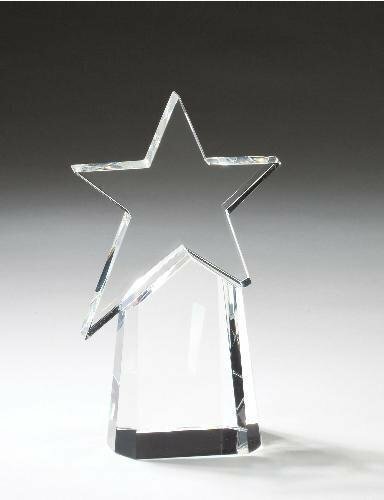 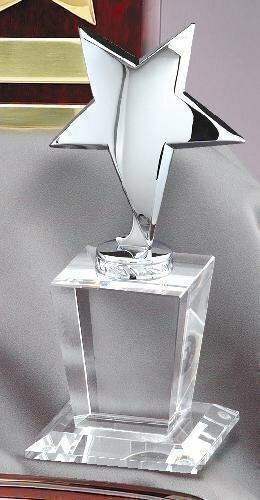 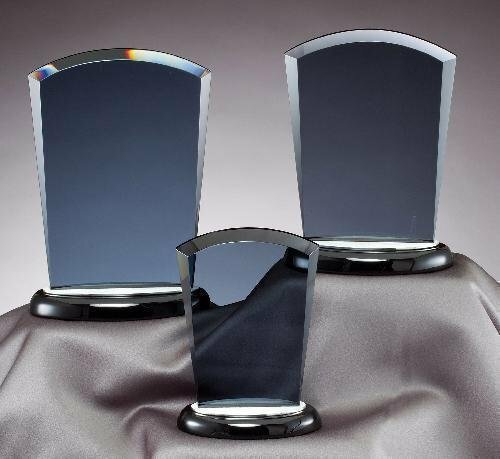 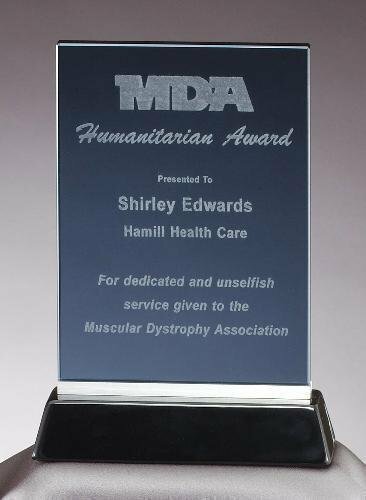 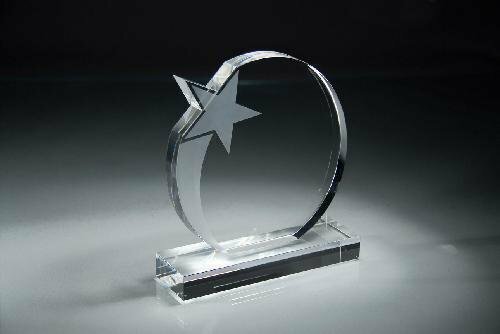 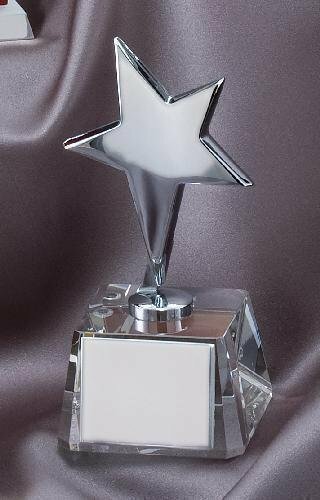 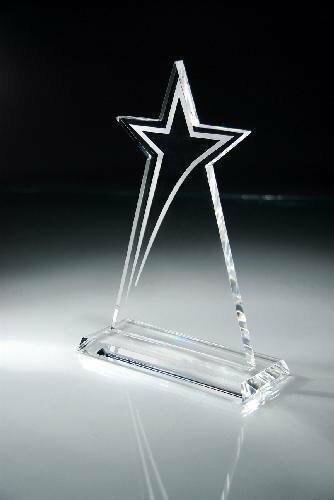 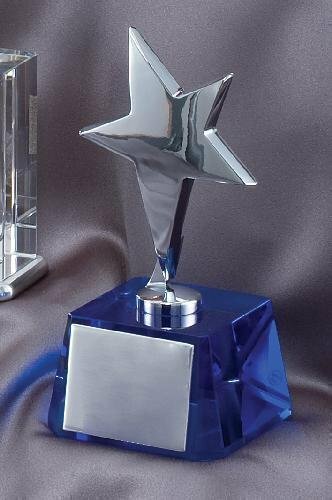 An Elegant Silver Finish Star mounted on Clear Crystal Base and Includes Deluxe Velour Lined Presentation Box. 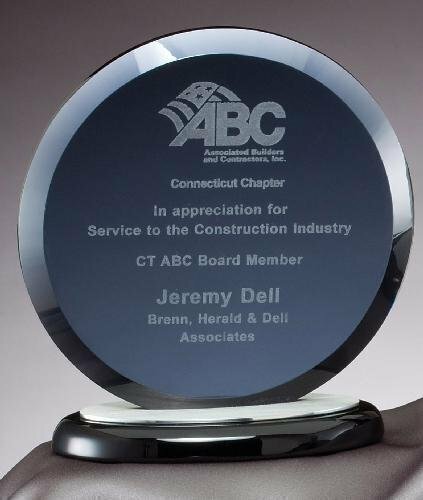 A silver plate can be added to the base for text or other engraving information. 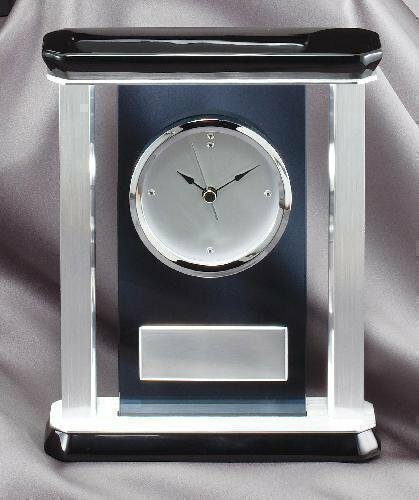 Elegant Smoked Blue Glass Desk Clock with Brushed Aluminum Accents.